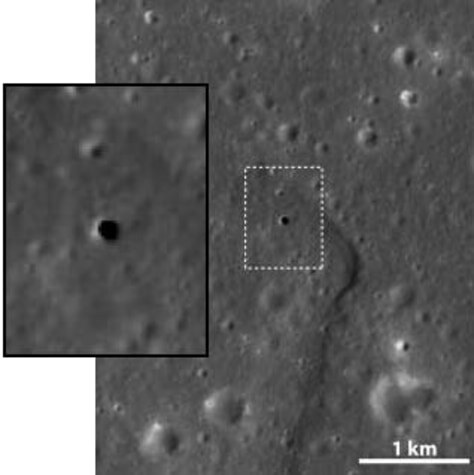 This apparent hole in the moon is like a skylight, a vertical cave 213 feet (65 meters) across and some 262 to 289 feet deep (80-88 meters). It is thought to be a collapsed lava tube. The inset shows close-up of the boxed area.